My own garden continues to provide us with fresh food. Lettuce is back thanks to cooler temperatures. Herbs continue to grow. Leeks, potatoes, fennel, radicchio, swiss chard, kale and tomatoes have been gracing our table recently. My kids have been out picking each raspberry as it ripens. Every day they charge out the door shouting about who is going to eat the raspberries. It will be nice next year when the plant is bigger and there will be more berries! I’ve taken some photos during the last several weeks. Here they are. 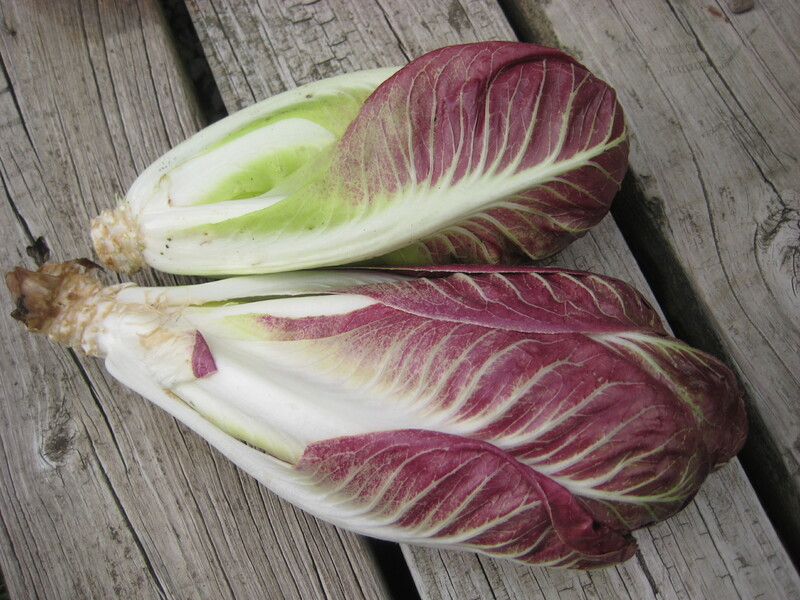 Here is some of the radicchio I grew this year. This was grilled and served with an anchovy dressing. Those little oily fishes are good for you! 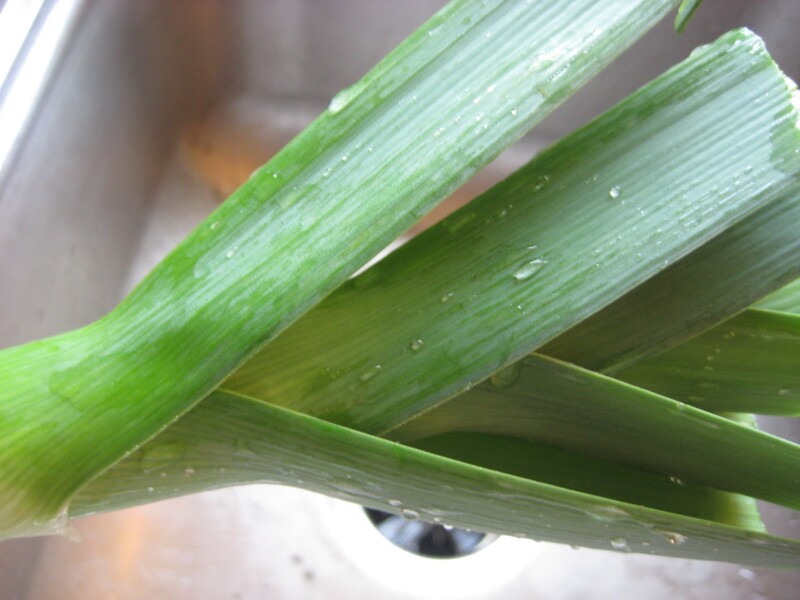 Washing leeks. These leeks were used in homemade ravioli with a swiss chard and leek filling. Spotted from our garden: a bright and beautiful remind of God’s love for us! This rainbow was one of the best I’ve ever seen. 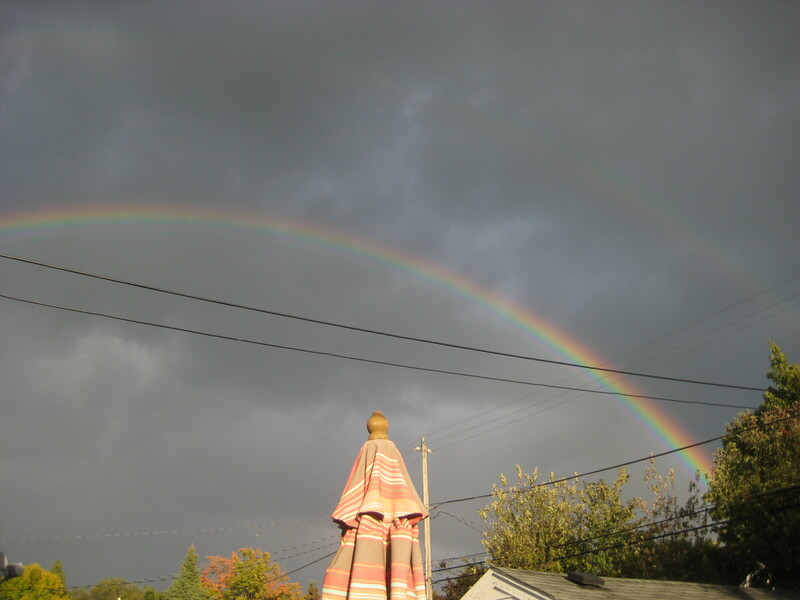 Look carefully and you’ll see the double rainbow above it. My mother-in-law made basil jelly, which didn’t quite set right and was more like basil syrup. 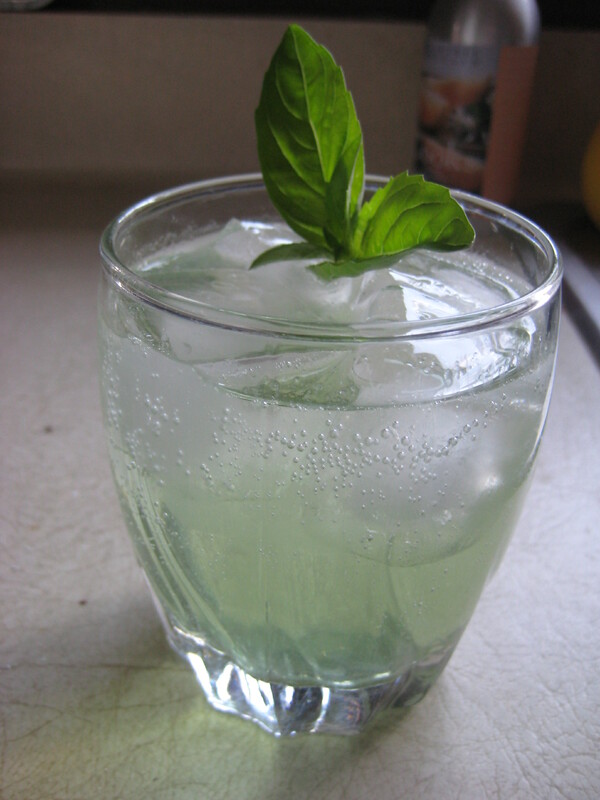 Turns out basil syrup makes a fantastic mojito! I’m trying a new source for garlic this year. 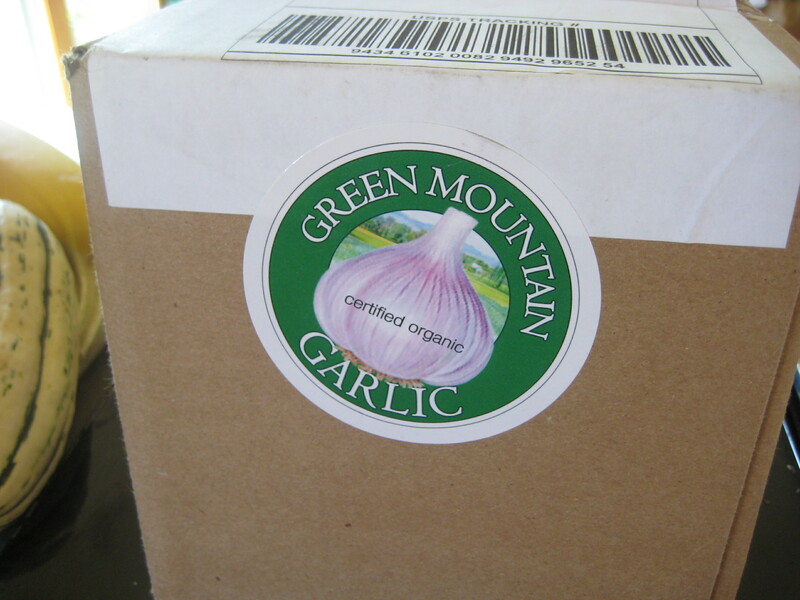 Seems more and more people are growing garlic lately–the first two sources I tried were sold out. Green Mountain had a nice variety. 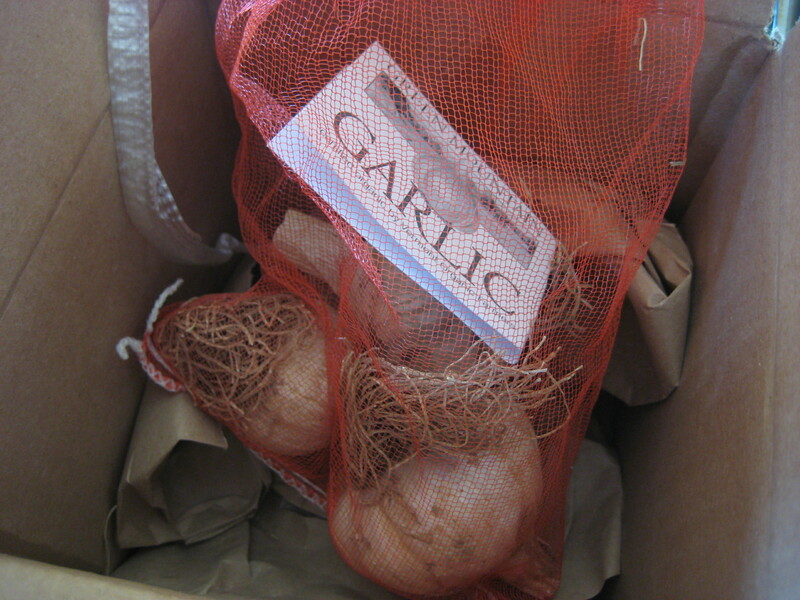 Here is the garlic I will be planting in two weeks. Big bowl of kale chips. Our kale continues to be very productive. 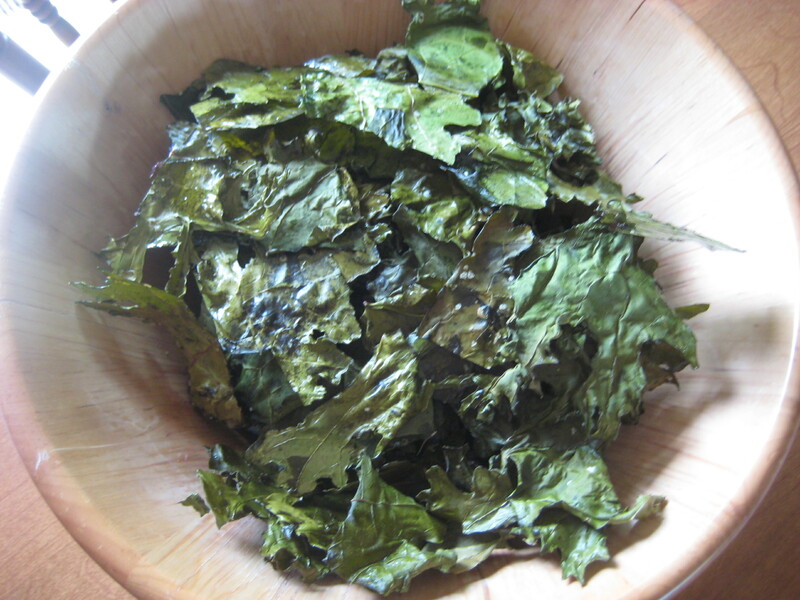 Thank goodness, because my kids (and husband) love these crunchy, salty kale chips. We’ve also used kale recently in soup and pizza. 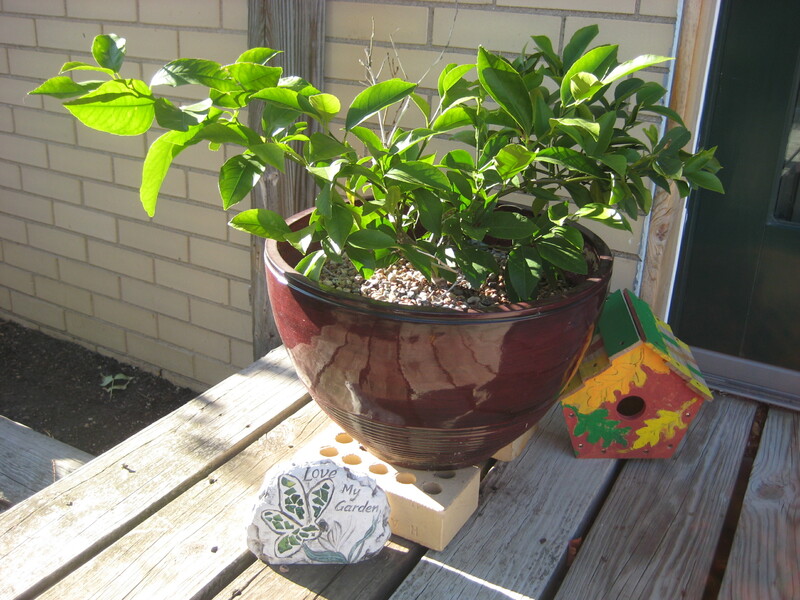 This entry was posted in "Photos from..." and tagged basil mojito, basil syrup, farmer's market, garden photos, garlic, kale, kale chips, leeks, lemon tree, meyer lemon tree, mojito, radicchio, rainbow, Wisconsin rainbow. Bookmark the permalink. What delightful fruits of your labor….the produce I mean, not the children although I suppose they are fruits of your labor too ha..ha! Kale chips are interesting….I must try them someday. So glad for this autumn entry! 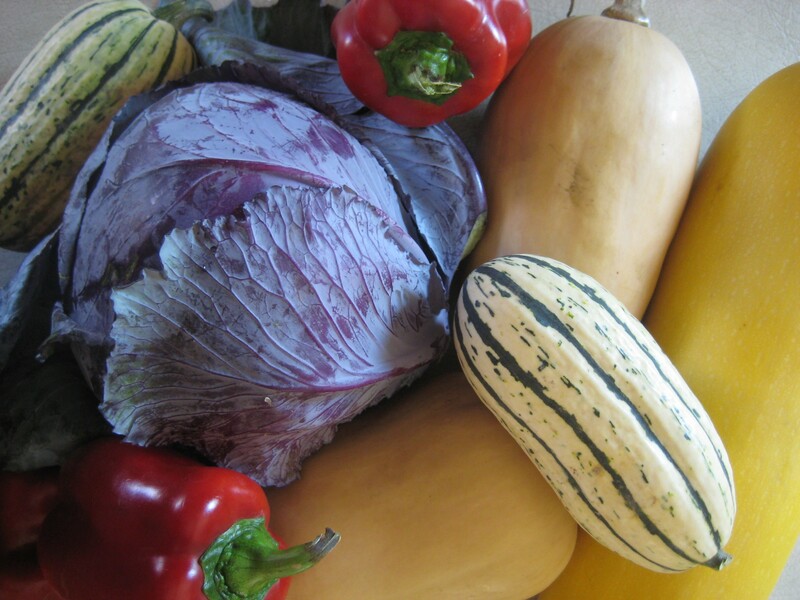 The photos are great…..isn’t it amazing that we can enjoy fruits and vegetables that are every color in the rainbow!